Welcoming the initiative taken by Ministry of Home Affairs to ban Pellet in Kashmir, Congress today said that the Party has pressed for banning the Pellets during the meeting with Home Minister Yesterday, besides recently during the meeting with Prime Minister, the opposition had already demanded to ban on lethal Pellets, as it has inflicted heavy damages, but it should also be ensured that the alternative to pellets must not be lethal. While expressing satisfaction over the initiative taken by the Home Ministry to ban the use of Pellet, JKPCC Chief G.A. 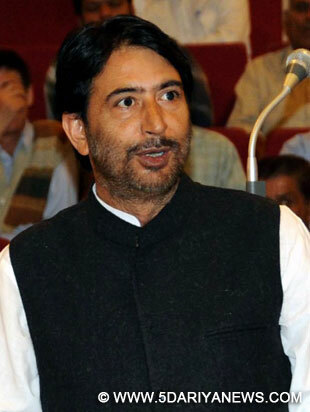 Mir has said that it will be a good on the Part of Home Ministry to effect the ban, at the earliest, besides the Ministry should ensure that the alternative will not be lethal than the Pellets.PCC Chief also welcomed the comments of Home Minister about the All Parties Delegation visiting Kashmir. BJP has failed to rise above party interest in JK : Cong.